Colin Charvis is the former captain of the Wales and also had two caps for the British and Irish Lions against Australia in 2001. Equally adept at Flanker or No.8, Charvis is an icon of Welsh rugby, not just because of his trademark curly hair and jovial persona. He scored 22 tries for his country, making him the leading try scorer among all Welsh forwards. Charvis began his professional career with London Welsh in 1995 before moving to Swansea in the same year. Stand-out performances for Swansea lead to a first international cap for Wales against Australia in 1996 and he went on to win 94 caps, making him the second most capped player for his country. Having featured in the 1999 Rugby World Cup, Charvis captained Wales in the 2003 Rugby World Cup in Australia. After appearances against England, Scotland, Ireland and Italy in the 2006 RBS Six Nations, Charvis had a spell away from the international scene. However, his blistering form for the Dragons throughout the 2006-2007 season saw him named in Gareth Jenkins's touring squad to Australia in May 2007. He appeared in both Tests and following the tour, Charvis was named in Gareth Jenkins's 41-man preliminary Rugby World Cup 2007 summer training squad. Charvis made a try-scoring substitute appearance in Wales's opening Pool B match against Canada, and made the starting line-ups for the remaining Pool clashes with Australia, Japan and Fiji. In November 2007, Wales Caretaker Coach Nigel Davies included Charvis in his starting line-up for the inaugural Prince William Cup clash with South Africa. Despite the 34-12 defeat to the reigning world champions Charvis scored his 22nd try for his country in the clash, becoming the world's top forward try-scorer to date. 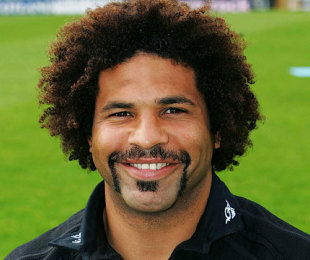 His club career with Swansea lasted until 2003 when changes in the Welsh club structure saw him without a contract in the period of the Rugby World Cup in the same year. He moved briefly to Tarbes in France and then to the Newcastle Falcons in England whom he also captained. Charvis's contract with the Falcons was not renewed at the end of the 2005-6 season and he subsequently joined the Newport Gwent Dragons, making his debut for the club in a pre-season friendly against the Cornish Pirates. Charvis was appointed to a player/coach role at Newport Gwent Dragons in July 2008. However, due to injuries amongst the playing squad Charvis returned to the team and due to his excellent form he played a number of matches during the 2008-09 season.